For one action-packed show only, fans will witness the world’s best monster trucks battle it out in the ultimate event of intense speed, racing and destruction! Maple Leaf Monster Jam Tour will be performing at BC Place Stadium on Saturday, February 1, 2014 at 7:00PM. 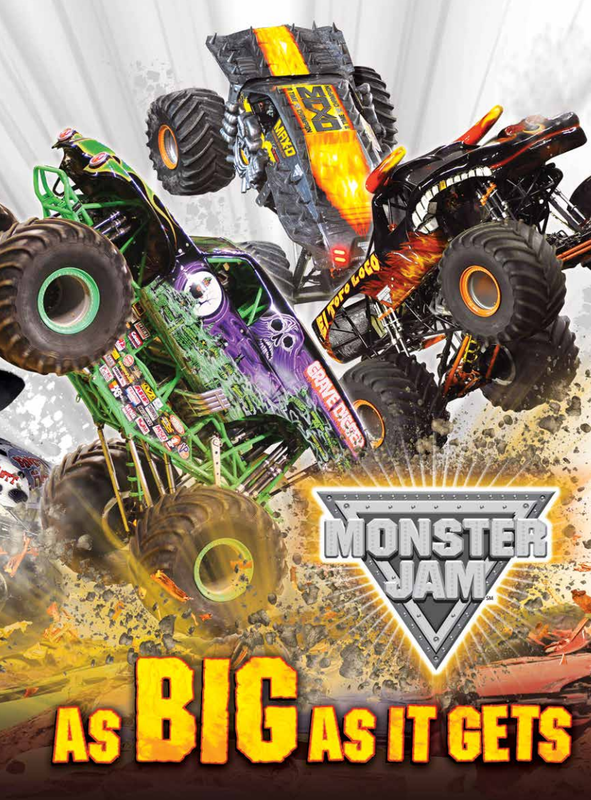 Monster Jam events are affordably priced for the whole family with tickets starting at just $15.00 for kids and $25.00 for adults (prices listed are advance purchase only; all tickets $5 more day of show). Tickets are available at the BC Place Box Office, charge by phone at 855-985-5000 or online at Ticketmaster.ca. We’re giving away family four-pack of tickets to Monster Jam Tour at BC Place on February 1, 2014. We will draw the winner at random on Wednesday, January 29, 2014. I have also tweeted the giveaway! I would love to catch the monster Jam monster truck show in person! I’ve only seen them on TV. It would be an awesome experience. Oh, I would love to surprise my sons with the chance to go see this! I’d love to take my boys, they’ve been wanting to go so badly!!! would love to go to Monster trucks! I would love to take my son to the Monster Jam! My son loves Monster Trucks……please pick me. Hope it’s not too late. Would love to take the kids to the show!